Laura Oliver, M.F.A., is the author of The Story Within: NewInsights and Inspiration for Writers. Her essays and short stories appear in numerous regional and national periodicals such as The Washington Post, Country Living, and Glimmer Train. She has taught Creative Writing at the University of Maryland and currently teaches writing at St. John’s College. Nominated for a Pushcart Prize, her work has won numerous distinctions, including a Maryland State Arts Council Individual Artist Award in Fiction. Her M.F.A. is from Bennington College. How do you find what inspires you? A good starting point is finding a unique and safe place to write in which you surround yourself with tokens of past successes. Your inspiration doesn’t have to come from a framed acceptance letter or book jacket poster—the red ribbon you won in third grade for the standing broad jump will work just as well. Reminders of previous success, like feelings of gratitude, put the writer in receiving mode. Additionally, rereading your best work activates your creative-right-brain by connecting you to your most authentic voice. Likewise, reading works from authors who you love can also be inspiring, as can using a book of prompts, or even going for a walk. I also suggest giving yourself a time limit for writing. Thinking, “I’m going to write with abandon for just 10 minutes”—mutes the internal critic and makes the task feel manageable. You’ll say to yourself: “Ten minutes? I can do anything for ten minutes.” Then, ten minutes often magically extends to 20, and then 40. Additionally, joining an informal writing group can be motivating because it ensures that your work is read. Some of the most lasting sources of inspiration for writers are writing conferences, which are usually one-day events that offer a variety of lectures, workshops, and opportunities to learn from other well-published and critically-acclaimed writers. Attending a writer’s conference is like reading an anthology because you are simultaneously exposed to many experts and topics in just one day. You also have the advantage of meeting and socializing with other writers who can provide you with a wealth of information—the techniques they use to write, the places they’ve published where you might like to submit as well, their recommendations on great books on craft, and their knowledge of ongoing writing groups. 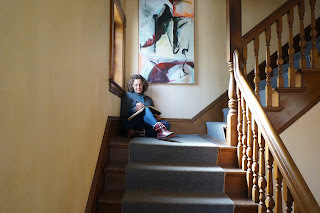 You’ll see firsthand that writers are not depressed recluses but mothers and fathers, professionals from all walks of life, and totally ordinary people who observe life with a keen eye, are acutely self-aware, and who long to connect with others. Writers write not because they want to escape the world, but because they love it. To provide Capitol area writers with more tips to add to their toolkits, my colleague at St. John's College, Lynn Schwartz, and I are hosting our third annual Writing Intensive Workshop on June 3 from 9:15 a.m. to 6:00 p.m. on the historic St. John’s College Campus in Annapolis, Maryland. The program will feature Pulitzer-Prize winning instructors, as well as a variety of workshops. Breakfast, lunch, afternoon coffee, and a networking wine reception are included. Click the following link to register and to learn more. Instruction and inspiration await! Interview conducted by Ellie Tipton, managing editor at Poet Lore. JENNY BROWNE’s most recent collection of poetry is Dear Stranger (University of Tampa Press, 2013). New work has appeared in At Length, Boston Review, and the Oxford American. Among her honors are the Cecil Hemley Memorial Award from the Poetry Society of America, the emerging writer award from The Writer’s Center in Bethesda, Maryland, and an NEA fellowship. A former James Michener Fellow at the University of Texas in Austin, she is a professor of English at Trinity University and the 2016-18 Poet Laureate of the City of San Antonio. before I even reached the old state road. every single night, and Santiago never came. & swallowed a soft piece of me whole. begins with knowing you know nothing. on a train and was never the same. ET: Can you describe a bit about your process for writing this poem? JB: I think this poem began as several poems. (Maybe it still is? Or maybe all poems are? At least, maybe the ones are that build energy by interrogating their own intentions?) That said, it literally did start exactly where it starts: with a journey to buy my husband a kayak that ended up being more exciting and strange than I expected. Some time later, I found a note in my journal about it, which evoked the larger questions: What was I doing there? What are we doing here? Doesn’t everything seem to happen at once? I tried to draft into those questions rather than into the particular memory, and the poem grew branches and some roots from there. ET: The shadow of an argument seems to underpin this poem. The poem itself seems at once to make a conceit and resist it at the same time. And, in that space there seems to be an acknowledgement of connection among all things: the natural world and the humans there, but at the same time an astute understanding that “You can’t tell / a forest fire to tie her shoes.” Repeatedly, throughout the poem, the nudge of violence or pain or struggle seems omnipresent. And yet, the poem itself resists that lyrical tradition to name it and end on that formula of emotional resonance – I find that quite refreshing. The haunting actions and voices that permeate the poem are much more telling, I think. Did you find that writing the poem through these questions inherently took you to this “shadow-structure”, or did you intentionally uncover it and use it as a pressure point for meaning? JB: Your question seems so much smarter than the poem! I would like to say it was formally intentional. And, yes, as I did eventually revise against the urge toward epiphany or even resolution in part because I actually had a sort of Creeley-esque “the darkness sur/ -rounds us, what/ can we do against it...” feeling that night. And, that felt like the truth of the poem­­-- that sense of what is going to happen is already happening which is both exhilarating and terrifying. I just tried to write into that momentum. ET: Can you talk a little about your book Dear Stranger? How did the book happen? What are its major concerns? JB: Some years back I was given an “assignment” by the San Antonio, TX art collective Refarm Spectacle to quite literally write a love letter to a stranger for a project on which they were working. I found the exercise both fun and challenging. So, I gave myself the assignment of writing a bunch more of them while also intentionally trying to push deeper into my own definition of what makes some one/place/thing a stranger and how I might somehow address them with love. I wrote to past versions of myself that I have trouble feeling love for, to my recently deceased father, to countries I’ve never visited, and even to objects that scare me. I didn’t use them all in the book, but by the end, this felt like a line through which I might organize the manuscript as well as a working definition of a poem. At least, for me, at least, for now, it was a vehicle for trying to speak intimately and with love to that which we don’t understand. ET: That sounds beautiful. Thank you so much for your time and for your work. This has been a really fascinating conversation. Purchase the issue where Jenny’s poem appears here. Marita Golden will speak at The Writer's Center on May 21 at 2 p.m. followed by a reception and book signing. For more information about this event, see our Facebook event. “Recognize that your story doesn't have to be validated by the larger society for it to be a valid story,” Marita Golden, the award winning novelist and teacher, said. “Many stories have value, and I think it’s important for writers of color to write and to recognize that it is important work that they are doing." As co-founder of the Hurston/Wright Foundation, Golden helps pave the road to success for emerging writers of color. "For the last 27 years, the foundation has been providing a community where black writers can get support and do their writing in an environment that recognizes the legitimacy of their writing,” she said. “It is very satisfying to see them go on and get their work published and [win] awards. It's very gratifying to have that kind of impact." Golden's latest novel, The Wide Circumference of Love introduces us to the Tate family as they struggle with the effect that Alzheimer’s disease has on their patriarch, Gregory. His wife is forced to make tough decisions while holding the family together. A particularly moving aspect of the story is son Sean’s efforts to fix his relationship with his father as Gregory slowly begins to lose more of his sense and memories. Despite the fact that Golden had no prior experience with the disease, nor had she thought of writing about it, she felt inspired to do so after dropping another novel. "I was working on another book but I had to stop because I couldn't go further, it wasn't my story to write." She said. "Then I woke up one day and wrote about a family dealing with Alzheimer's. It was an unexpected inspiration." "For several months before writing, I read everything I could about Alzheimer's. I also was lucky to find a woman who lives in Maryland who works with people who have someone in their family with dementia and Alzheimer's,” Golden said. “She helps with caregiving and assisted living and all of that. She was my guide through the world of Alzheimer's." Golden also interviewed families who had loved ones with Alzheimer's and spoke to doctors. 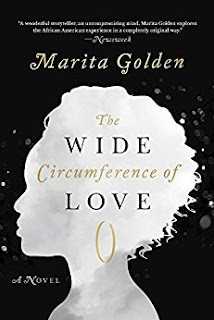 The Wide Circumference of Love is a touching story about a very real and common disease that over 5 million American citizens and their families face every year. It is both a moving tribute to those people and an engaging story about a family who tries to face this struggle together with patience and of course, love. Interview conducted by Ellie Tipton, managing editor of Poet Lore. 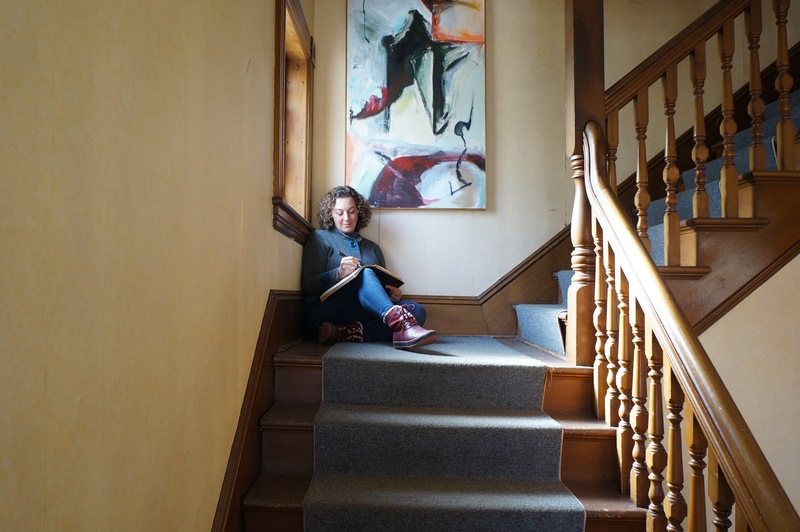 CASEY NAGLE is a graduate of the MFA Program at Syracuse University. This is his first publication. and entered our abandoned Lumina. we loved its theater-dark interior. the sunset, the panic, the neighborhood search. We even watched our parents give the cops our names. happily, as if we were moving. ET: Can you describe your process for composing this poem? CN: I’ve written this poem hundreds of times and have filled lots of legal pads with both varying and totally identical versions to get it to where it is now. Typically, I read what I write aloud to myself till it sounds right. Initially I wrote the poem to appear like somebody with privileged access, like somebody with a backstage pass to their own illusions, some kind of authority on a benighted suburban street. Now I hope it describes a moment someone can relate to, a childhood moment, or moment when you feel like a child and you have created something beautiful, and you realize, but don’t really care, that you have made someone else terrified in your absence. I’m grateful, too, for the input of generous advisors and friends who have read and suggested edits for this poem over the years. ET: This poem is written in the lyric tradition, would you agree? How do you see it fitting into that larger tradition? CN: Yes, I think it is a lyric poem. The lyric tradition relies on the music of language to generate the emotional experience of the poem. Many of my poems contain narrative or argument, but I can never be satisfied with any poem until sounds just right. This poem’s central metaphor is highly involved and complicated and would be emotionally inaccessible without lyricism. ET: Who are your influences? CN: John Keats, Tomas Transtromer and all the people in my life who are committed to what they do. CN: I have five siblings- two older brothers and three younger sisters. Over the years we have caused all varieties of neighborhood and internal panic. ET: Can you discuss the editorial process that you went through with Jody Bolz, Poet Lore’s executive editor? CN: It has been amazing and humbling, truly one of the most affirming things to happen to me as a writer. I was attracted to Poet Lore largely because of Jody Bolz’s reputation as a uniquely engaged editor who reads every single submission. So I submitted and only a few weeks later received an acceptance letter with her signature on it. I was thrilled. Then not long afterwards, she nominated me for a Pushcart Prize and invited me to read at AWP and now I am given this chance to talk about my work. It has been a real honor working with Jody Bolz and everyone else at Poet Lore. The French term plein air conjures images of painters setting up easels, canvases, and pallets out of doors in the tradition of Claude Monet. But why should they have all the fun? 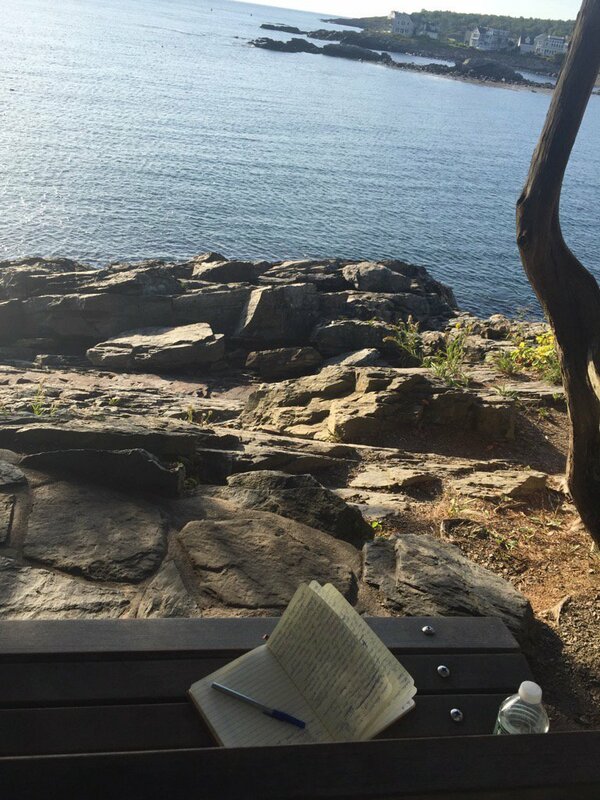 As a writer, I like to take a journal and pen out in the world beyond my writing studio and desk. Spring is the perfect time to share this technique with Writer's Center students. Writing impressions of surroundings on the spot results in new perspectives, new inspirations, and frankly, a sense of air and atmosphere not as easily mustered at a desk. It’s all about infusing fresh air into our writing and our writing lives. Lisa Leibow holds an M.A. in writing from The Johns Hopkins University. 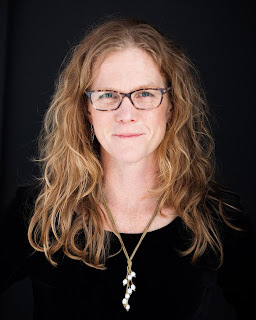 Her work has appeared or is forthcoming in CommuterLit, Diverse Voices Quarterly, Eleven Eleven, Folly, Griffin, Kaleidescope, Mullberry Fork, NoVA Bards, Pisgah Review, Red Rose, Rougarou, Sand Hill Review, and Sanskrit. She is also a recent merit-based grant recipient and resident at the Vermont Studio Center, the winner of Pitchapalooza D.C., and an honorable mention in the John Gardner Award for Best Character Description. Lunch Time Lit is a new program designed to inspire professionals--as members of the community and writers. Join mentor Patty Alper for lunch and a rivetting discussion of her new book, Teach to Work, and the different ways that corporations, professionals, and retirees can have a significant impact on education. Learn to be an ambassador of talent, skill, and grit. Reservations required. Please RSVP to kristen.zory.king@writer.org. An evening of queer speculative fiction, featuring readings from Sarah Pinsker, Craig L. Gidney, Day Al-Mohamed and Sunny Moraine, moderated by Marianne Kirby. This event is co-hosted by OutWrite, DC's LGBTQ+ book festival, and East City Bookshop. Given since 1981 to the best works of fiction published by an American citizen in a calendar year, the PEN/Faulkner Award for Fiction is the United States’ largest peer-juried prize in the field. This year’s judges are Chris Abani, Chantel Acevedo, and Sigrid Nunez. The 2017 winner is Imbolo Mbue, and the finalists are Viet Dinh, Louise Erdrich, Garth Greenwell, and Sunil Yapa. Michael Salcman, poet, neuroscientist and art critic, formerly chairman of neurosurgery at the University of Maryland and past president of the Contemporary Museum in Baltimore, reads from his new collection of poems about the Holocaust, family history and the history of Prague, A Prague Spring, Before & After, winner of the 2015 Sinclair Poetry Prize. Lynn Silverman, professor of photography at the Maryland Institute College of Art, will discuss the suite of Prague photographs she created for inclusion in the book. Best-known for his Southern Reach trilogy, VanderMeer is a three-time World Fantasy Award winner as well as a teacher, publisher, and frequent anthologist. His latest vision of the future finds a ruined city where people survive by scavenging. VanderMeer will be in conversation with the writer Ann VanderMeer, his wife and frequent collaborator on anthologies including Sisters of the Revolution. Freeman’s account of what three brothers did in World War II powerfully intertwines national and military history with the particular story of one American family. Freeman, a former speechwriter and currently the Board Chair of the Bethesda Writers Center, supplements archival documents with personal letters, diaries, and interviews. Friday, May 12, 6:30 p.m.
Poets Martin Espada, Naomi Ayala, and Sami Miranda will read at the opening of Down These Mean Streets: Community and Place in Urban Photography, an exhibit that features the work of Frank Espada, Martin Espada's father. Congratulate A.U.’s most recent Master of Fine Arts graduates as these accomplished poets and fiction writers present their work. Visiting poet Alicia Partnoy reads from Flowering Fires/Fuegos Florales, her prize-winning volume of poems, in a program sponsored by Settlement House Books. The Gaithersburg Book Festival is a celebration of the written word and its power to enrich the human experience. Funded in part by generous sponsors and supported by the City of Gaithersburg, the Festival offers programming for all ages, is free to attend and is open to everyone. The Writer's Center is pleased to host a reading by Marita Golden celebrating publication of her new novel, The Wide Circumference of Love (Arcade Publishing, 2017), which introduces us to the Tates, a close-knit African American family coming to terms with the devastating impact of early onset Alzheimer's. The reading will be followed by a reception and book signing.